If you haven’t noticed, spring has sprung in earnest. Spring flowering trees and shrubs have popped and are already fading. The buds of many other plants are breaking everywhere. Right along with the plants come the critters. 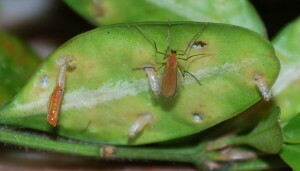 Of particular note are boxwood leafminer adults. Almost everyday this spring, the Plant Diagnostic Laboratory gets another sample of boxwood. Winter injury has been the most common diagnosis, but that is quickly changing to samples with boxwood leafminer damage and Volutella leaf and stem blight. Like all the winter injury, Volutella leaf and stem blight requires aggressive pruning to fix. Boxwood leafminer, on the other hand, takes a little more skill and precision to get under control. 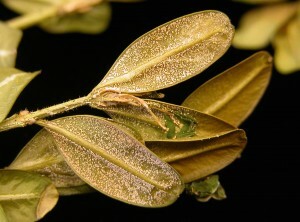 Adult boxwood leafminers are easy to find hovering over infested plantings at this time. Simply brush your hand (or use a sweep net) over the new growth and you will see scores of tiny orange flies flittering about. This insect can only lay eggs in succulent tissues, so in plantings with numerous adult flies and a history of problems, an insecticide intervention now would be prudent. Use a translaminar material, like abamectin, acephate or dinotefuran, to protect the new growth. Check local recommendations for other options. 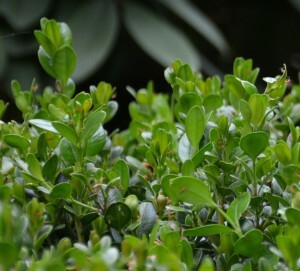 Last week, I attended a symposium at the National Agriculture Library on boxwood blight. Part of the program included Dr. Michael Raupp of the University of Maryland who gave a talk on boxwood insects. During his talk, Dr. Raupp (the bug guy) suggested that using neonicotinoid insecticides on boxwood might cause secondary pest outbreaks of boxwood mites. The phenomenon was recently documented on elms treated with imidacloprid for Asian longhorned beetle. Apparently, mites are insensitive to the toxic effects of neonicotinoid insecticides. 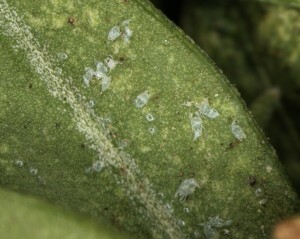 In fact, mites that feed on neonicotinoid treated plants actually lay more eggs. 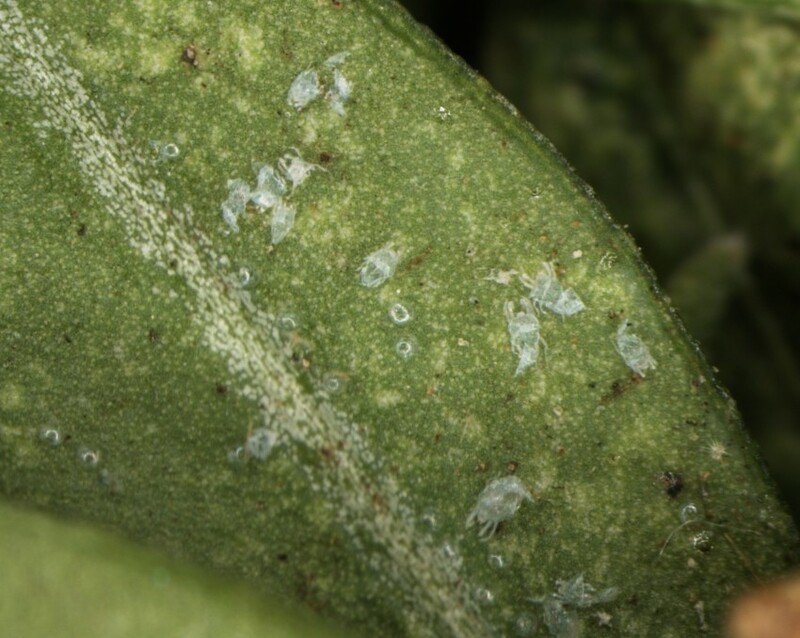 Furthermore, mites feeding on treated plants aquire the toxin, which provides a conduit to the predatory insects that are feeding on them. As a result, the good guys become impaired and fail to do their job eating mites. As such, the populations of mites increase! Dr. Raupp suggests sticking to abamectin (Avid) to avoid this phenomenon, because it is not only effective for our nemesis, the boxwood leafminer, but also effectively controls boxwood mites. That bug guy is pretty smart!